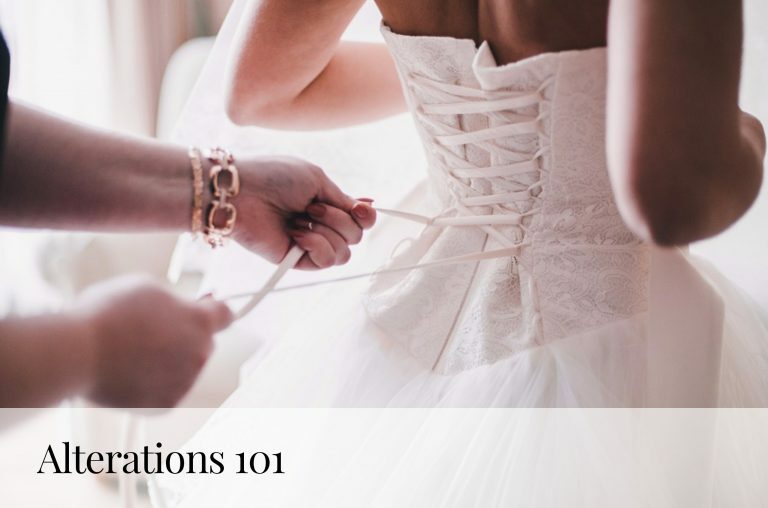 Whether you’re a bride, bridesmaid or guest remembering the items you’ll need on a wedding day can be a *very* difficult task. 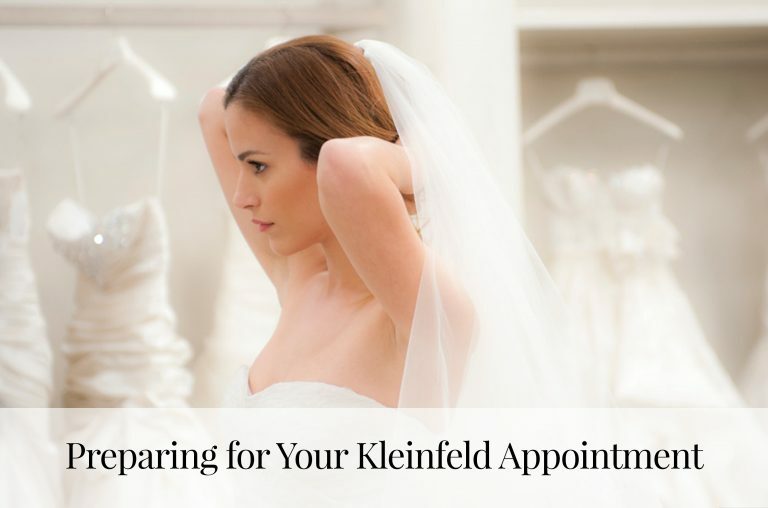 To help, we’ve created a list of our top 10 must-haves for any wedding day. You can thank us later. First off, personalized polish is always a fun idea and a perfect bridesmaid gift. It’s super practical and can come in handy during a chipped nail emergency. Bring Pretty Please polish to guarantee your squad is flawless, from head to toenail. Talk about an item beyond necessary for outdoor weddings. Solemates prevent your heels from sinking into the ground, because no one wants to mess up their brand new Jimmy’s. Add these to your welcome bags and your female guests will never be happier! ThimblePress’s Push Pop Confetti can make any get together a party. 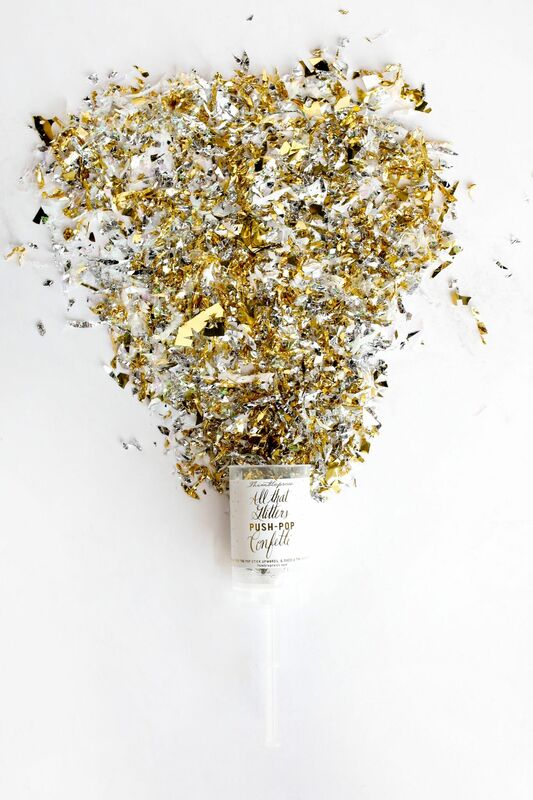 They’re fun and the confetti blasts make for the perfect Instagram shot. Could make for your most liked photo yet! Poppy Stockwell has an amazing bridal skincare program and products for on-the-go treatment. All brides want picture perfect skin and Poppy Stockwell will make that wish a reality. Avoid hangry bridesmaids and flower girls with snacks like Pasta Chips & Cookie Thins. Because you should be the center of the attention – not a screaming flower girl. Candy bars are a must-have We love the idea of setting up a candy bar on the day of the wedding! Treat Me Sweet can set up the perfectly themed candy station that every guest will enjoy! As Nora Ephron once said, “Believe me if I looked good, it’s not an accident.” Bring the extra bottle of Macadamia Hairspray, we guarantee someone will use it! 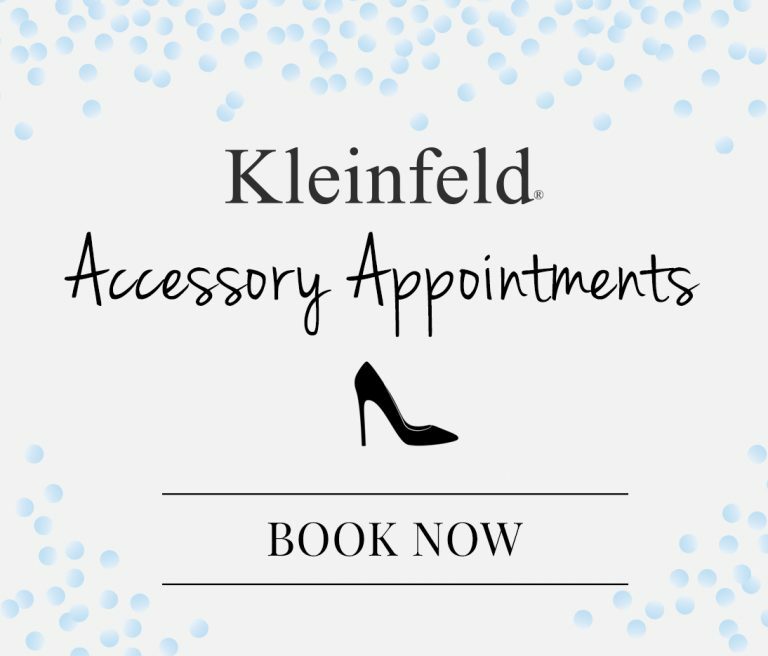 Okay, we might be obsessed with sweet treats here at Kleinfeld, but you can never have too many cookies on the day of the wedding. Especially when they’re from Carlo’s Bakery! Because cheers-ing on a wedding day is basically a reception must. Prosecco from Opici Wines is the perfect drink for guests to sip throughout the wedding night. No matter who you are or why you’re at a wedding – a smile and happy attitude is a must! A couple just made a lifetime commitment to one another, it’s now time to kick off those shoes and celebrate!